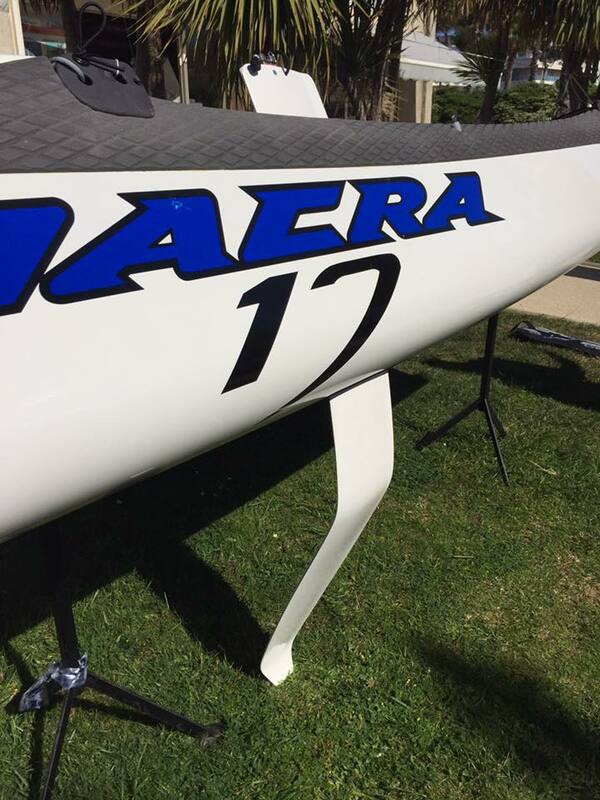 The Nacra 17 is a high performance catamaran and the only boat in the Olympics that mandates a mixed crew. We're very proud of our class for having men and women compete against each other at such a high level, and we hope that it will inspire more mixed crews in other areas of sailing. The Z foils are bent in two different places to allow the boat to remain completely out of the water from the start to finish (though most people only foil downwind for VMG purposes). The original N17boards were simply curved, known as C-foils, which allowed for 3-5 seconds of flight when going downwind. The T foil rudders have elevators on the bottom of the rudder that help create stable flight. The original rudder simply went straight down, so the T foil will be a nice addition!